» Welcome to A Barlow Lens release party! Welcome to A Barlow Lens release party! Hello. 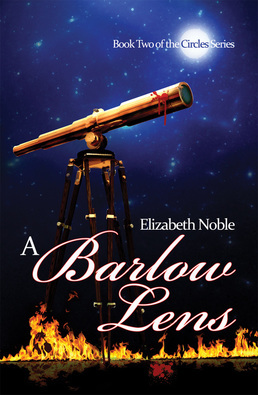 I’m Elizabeth Noble and welcome to the virtual release party of my latest novel, A Barlow Lens. Please visit the Circles website to stay up to date on the entire series. Before I forget, because I always forget, Dreamspinner Press has offered a coupon code: Noble0116 (case sensitive). It’s good for 25% off all my books beginning today, Friday, and expires on Monday. To start the festivities here is the blurb and a bit of an excerpt from the book. There is an age difference between Val and Wyatt. What’s your preference, couples that are closer or farther apart in age? Any personal experiences to share? Thanks for sharing the excerpt! I personally love reading May-December romances. I do think people closer in age tend to have more in common, but of course that’s not always the case. The blurb sounds interesting and thank you for sharing the excerpt. Happy release party. As for your question i don´t really have a preference in reading books i just love books were the couple has Chemistry. Congrats on your new release! Thank you for the excerpt.